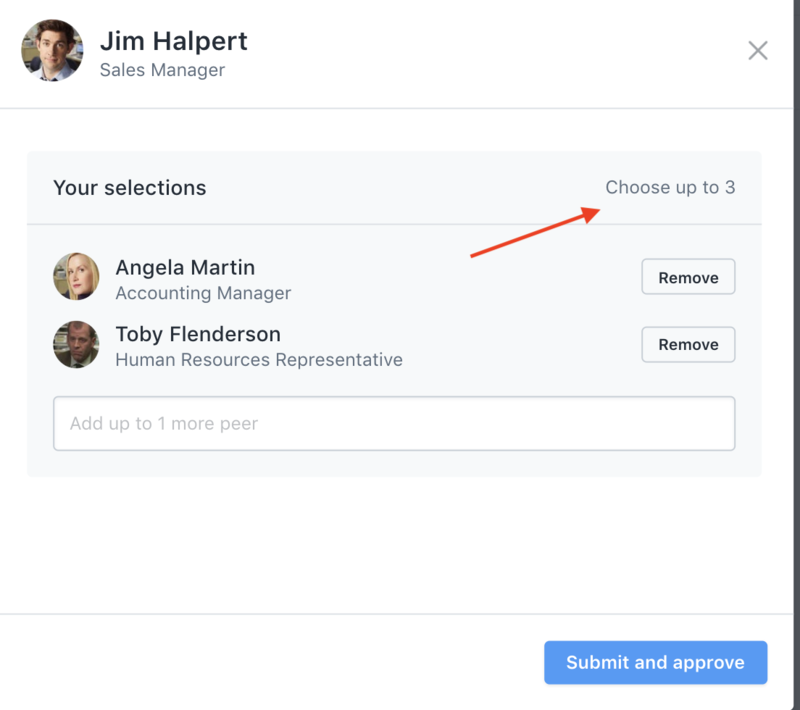 As you set up your review cycle, you'll be prompted to manage the peer selection process. Lattice offers two ways to handle this process. Admins also have the ability to limit the number of peer reviewers that managers or reviewees can choose by clicking "Limit number of peer reviewers," and typing in the amount they want it limited to. When an employee or manager goes in to nominate peers, they'll see that the number is limited. *Note: As an admin, you also have the ability to override or add additional peer reviewers for anyone during the review cycle.